Who's your favorite bad guy? I’ve been thinking a lot about bad guys. I don’t think I’m the only one either. I’ve been writing some fanfic, and designing one new villain while revamping another to face Spider-Man. I’ve been writing some original stories, and having fun creating a villain from whole stock. So, it makes me wonder- who’s your favorite bad guy? Movies, TV, comics, books, whatever? Personally, I LOVE Doctor Octopus. 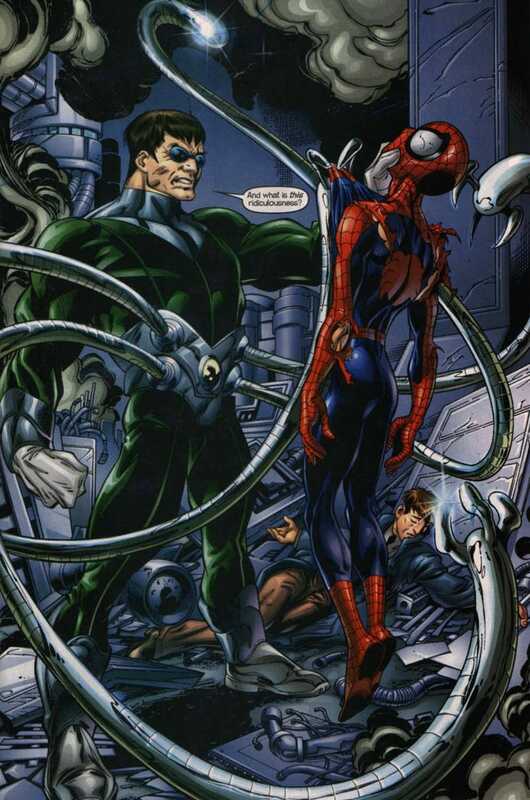 Otto Octavius is more Peter Parker’s opposite than any villain he’s ever faced. Both are brilliant, both are driven, and both are based on eight-legged animals ( kidding! ). The big difference is who they’re in it for. Peter is self-less to a fault. He will sacrifice life and limb to help others. Otto only care about himself. Even when he was Spider-Man, if it didn’t serve his needs or desires, he didn’t care.